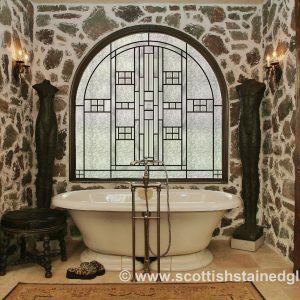 Improving the privacy of their bathroom is a chief concern for many Scottish Stained Glass clients. 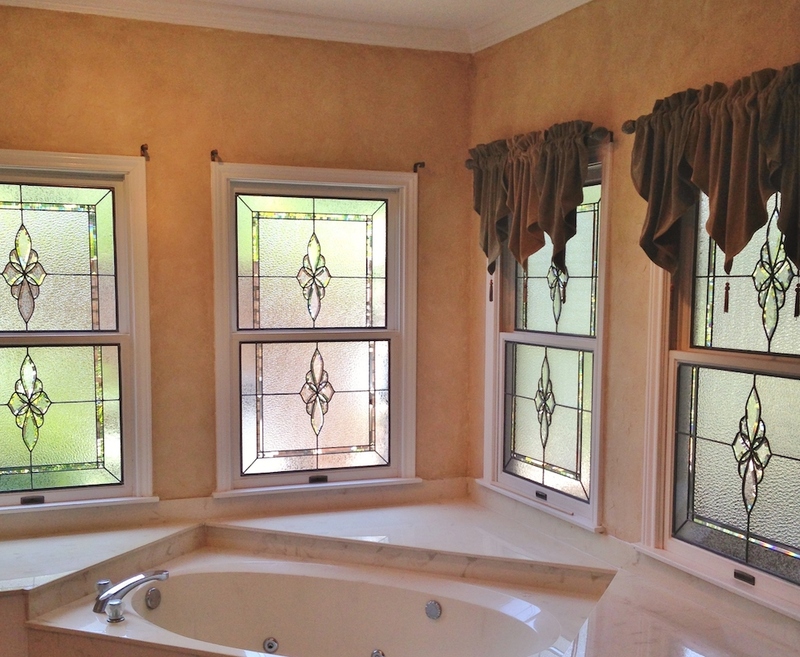 Working in homes of all sizes, throughout the country, bathroom stained glass is one of our specialties. Some clients merely have an awkward window that looks out onto a street while other windows are exposed directly to neighbors. 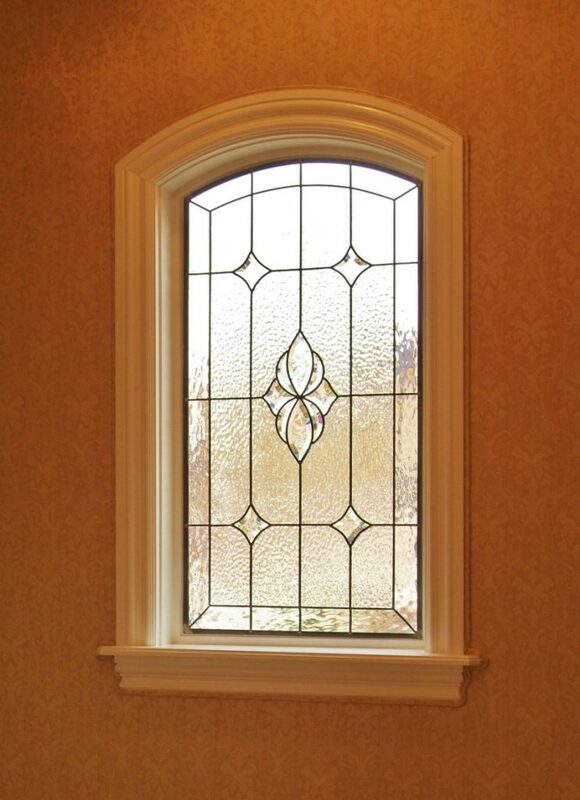 Whatever your issues, we can design a custom stained glass window that will be the solution. 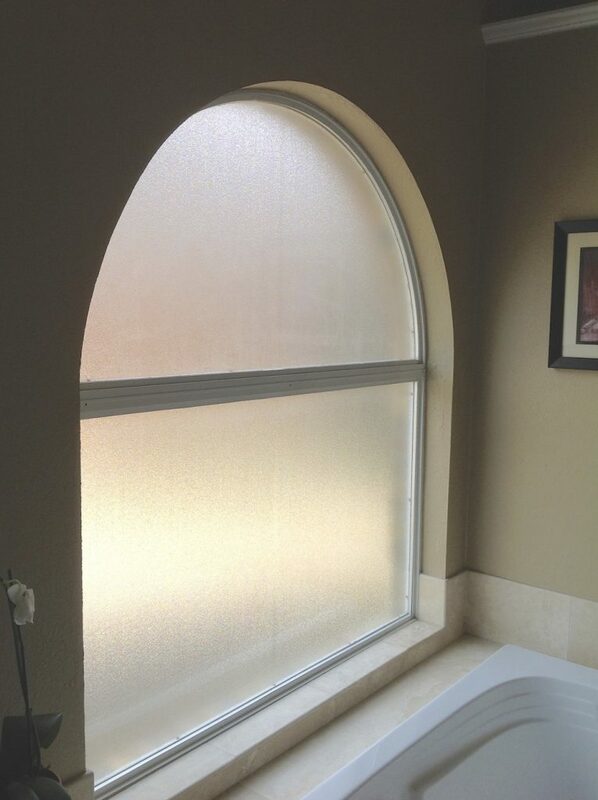 These particular clients were in the planning stages of a complete master bathroom remodel when their interior designer showed them the large windows that were planned to compliment the bathtub. It was instantly decided that stained glass would be a nice compliment to the room. 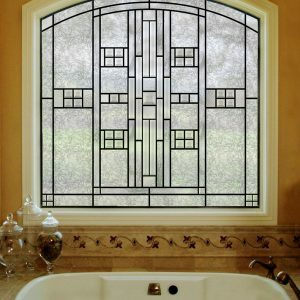 After some research, the interior designer contacted Scottish Stained Glass and asked us to help design 3 custom windows. 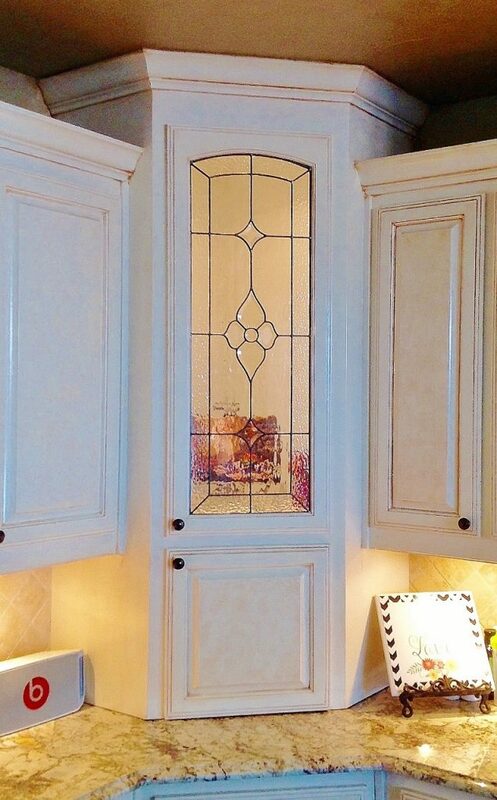 Working in consultation with the designer and the clients, we developed a design featuring leaded glass diamonds complimented by a hammered glass boarder. This elegant solution is the focal point of the room as these windows, with southern exposure, now provide the bulk of the light for the bathroom.